Leonardo Garcia is a farm worker at a coffee estate called “La Revancha” (The Revenge, in English), in Nicaragua. This farm is part of our pilot program, which was developed to help the coffee industry better understand if and how Fair Trade can help improve the lives of millions of farm workers who work the coffee fields every day but do not own the land where they work. Leonardo has been working in coffee since he was 6, and his father is also a farm worker who still picks coffee at a nearby farm. At La Revancha, Leonardo has several responsibilities: he applies the pesticides to protect the coffee trees against diseases like leaf rust (which has significantly brought down production in Central America); he climbs tall trees to make sure the coffee receives the right amount of sun and shade; he weeds the coffee fields, and he picks coffee during the harvest. Leonardo is an exceptional individual. 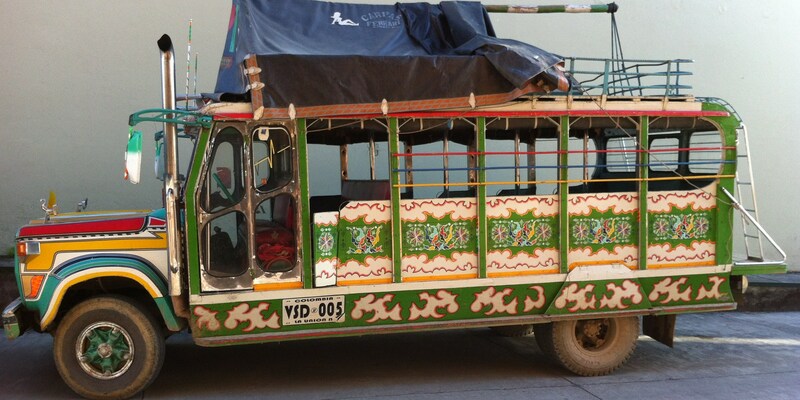 Every Saturday, he wakes up at 3 AM to walk to the highway and take a bus to the nearest city, Matagalpa, so he can attend college. He is studying English and computers to become a teacher and help his community. He sacrifices two days of pay in order to achieve this dream (if he worked on Saturdays, by law he would also be paid for Sundays). I met Leonardo walking through the coffee fields of La Revancha farm. He knew I was visiting the farm from the U.S., so he said hi to me in English. 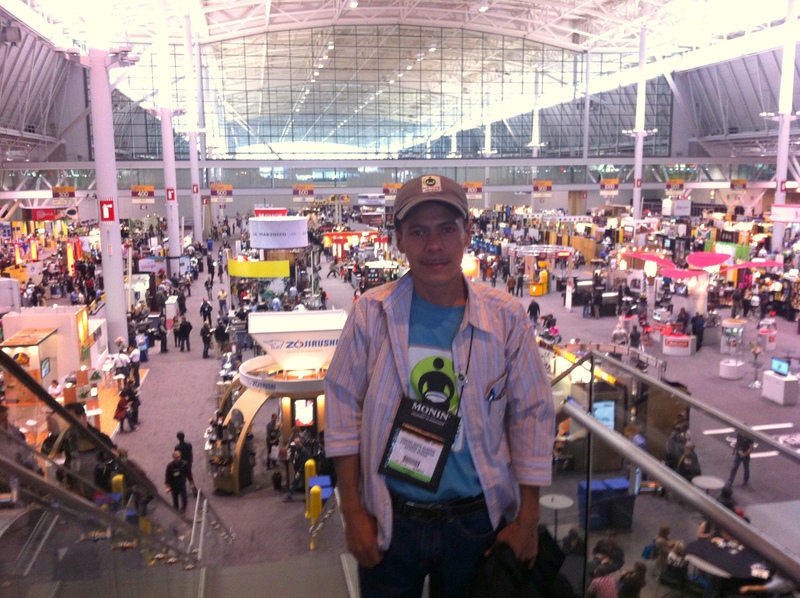 Last April, he attended the Specialty Coffee Association of America (SCAA) conference in Boston to represent the workers at La Revancha. We recently asked him over the phone to reflect on his participation at the SCAA show, and his experience visiting the United States. “Everybody was very nice. I could not eat or have a drink because so many people wanted to greet me. People wanted to learn more about my life as a farm worker. I still can’t find words to describe what I lived in Boston. It was a great learning experience both for me and for many people who had never met a farm worker before. I talked with people who were exhibiting their coffee products at the show. One gentleman showed me a vase that keeps coffee warm. I asked him how much he sold that for, and he said 20 dollars. I mentioned to him that I make that much in one week. He asked me what I did, so we talked about farm workers in coffee. He had never met a farm worker before. He gave me that vase as a present. I also went to a coffee shop, and I noticed that what a latte costs in the U.S., it is how much I make in a day working in the coffee fields. The person in the coffee shop couldn’t believe it. I think that having those conversations with the people who work in coffee helped them realize that they need to consider the work of farm workers too. I realized that it was important that I was there. I was representing people who had never been represented before: farm workers. We work very hard every day and people in the U.S. enjoy the fruit of that work: coffee. It is important that we also have a voice in this world. I visited Leonardo in Nicaragua a couple of weeks ago and learned more about some of the challenges coffee farm workers like him face. He lives with his parents, sisters and little nephew Billy. The house where they live is located on a neighboring farm where his father works (separate from La Revancha and our program). The family was recently told by the owner of that farm that their house, where they have lived for decades, is no longer theirs. It will be repossessed, and they may lose their home. “My dream is to have my own land, my own house, where my family and I can live in peace”, he told me. The farm where Leonardo works is about to become Fair Trade Certified. To earn certification, the farm had to significantly improve the housing conditions for the workers who live at this farm. Now workers have better houses, access to electricity all day long, access to drinkable running water, and decent bathrooms. Leonardo and many other workers do not live at this farm, so they still live under more challenging conditions at other farms. When you buy Fair Trade coffee from this farm (La Revancha), a community development premium goes directly to these workers for social projects that benefit them. This is the workers’ money (not the farm’s) and the workers decide democratically how to spend it. 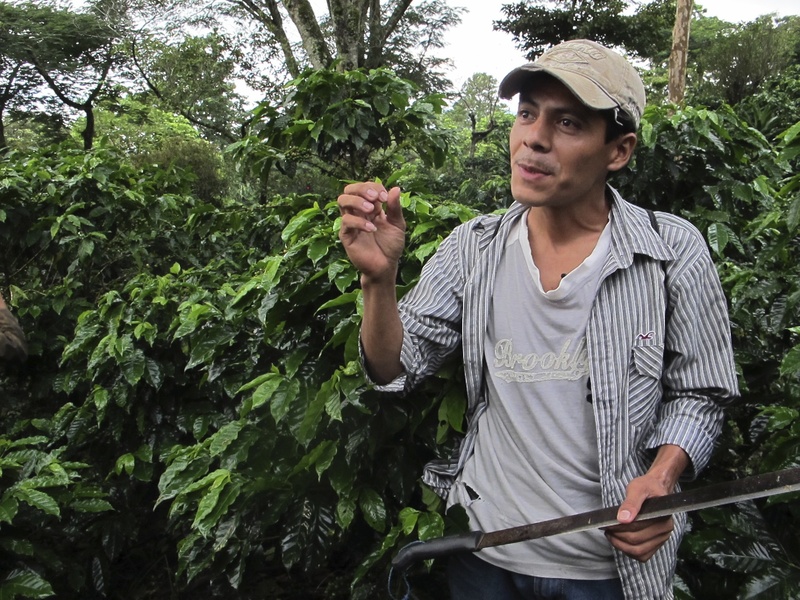 The workers will be able to use those funds to build homes on their own land because of the connection they have created with U.S. coffee buyers and consumers through Fair Trade. Leonardo and his colleagues are beginning to harvest coffee at La Revancha now. We all can buy “a share” in this dream by making sure some of the coffee Leonardo is harvesting is purchased on Fair Trade terms. 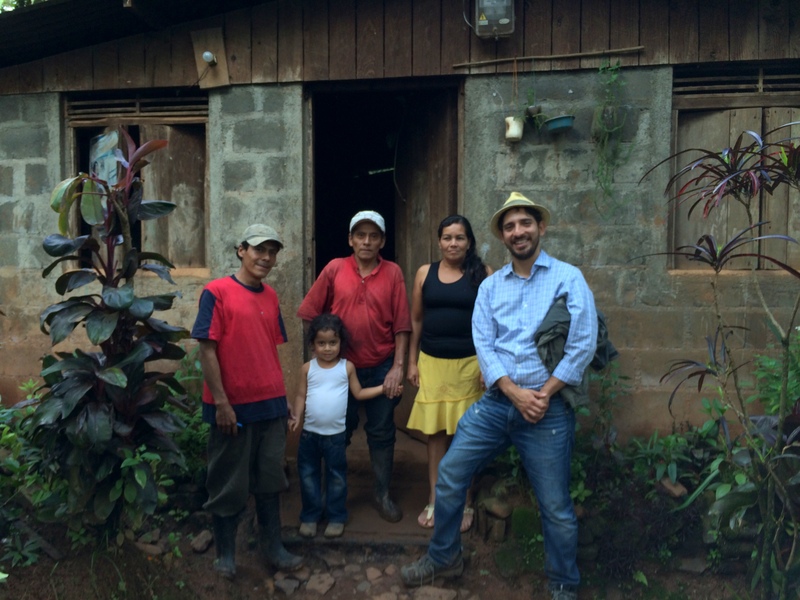 This entry was posted in Farm Workers, People in Pilots, Premium and tagged Boston, farmworkers, nicaragua, SCAA. Bookmark the permalink.